Here are this Sunday's Dodgers videos. An early episode of That's Brooklyn pays tribute to the Brooklyn Dodgers. Our guest was the President of the Brooklyn Dodgers Hall of Fame, Marty Adler. Sadly he passed away just recently. Gary George interviews Andre Ethier in the clubhouse a couple of days ago. Dodgers Manager Don Mattingly talks to Mike Dunsmore of NBC Sports Radio during Clayton Kershaw's Ping Pong Challenge at Dodger Stadium on August 30, 2011. In preparation for a strong finish and the playoffs, the Dodgers expand their rosters by five. Drew Butera - C - He'll be our backup to the backup catcher. As the Dodgers clinch a playoff spot I would expect Butera to get some playing time to give our catchers some rest. Butera, who was acquired by the Dodgers on July 31 from Minnesota, appeared in 16 games with Triple-A Albuquerque. The 6-foot-1, 200-pounder has a .182 career batting average with five home runs and 41 RBI in 186 career big league games with the Twins from 2010-13. Butera will wear uniform number 31. Stephen Fife - P - No doubt, he'll just be extra starter - although he had recently moved into the bullpen in preparation for this callup. Fife has posted a 4-3 record with a 2.47 ERA (14 ER/51.0 IP) in nine starts in two stints with Los Angeles, allowing two runs or less in six of those outings. Since last being optioned on Aug. 5, Fife has appeared in five games (three starts) for the Isotopes and last started on Aug. 29 vs. Round Rock, allowing two runs on seven hits in 4.1 innings. Overall, the right-hander is 2-4 with a 6.03 ERA (25 ER/37.1 IP) in 10 games (eight starts) for Albuquerque. Dee Gordon - SS - Can Dee prove his worth? He's horrible with the glove, but brings some speed to the basepaths. Maybe he'll be a late-game replacement from time to time. Gordon has appeared in 25 games in two stints for the Dodgers, batting .208 (16-for-77) with a homer, one triple, six RBI and six stolen bases. In 92 games at Triple-A, the left-handed hitter is batting .297 (111-for-374) with a Pacific Coast League-leading 49 stolen bases, 17 more than any other base stealer. Since Gordon made his Major League debut in 2012, the speedy infielder has 38 stolen bases, which ranks 17th in the National League during that span. 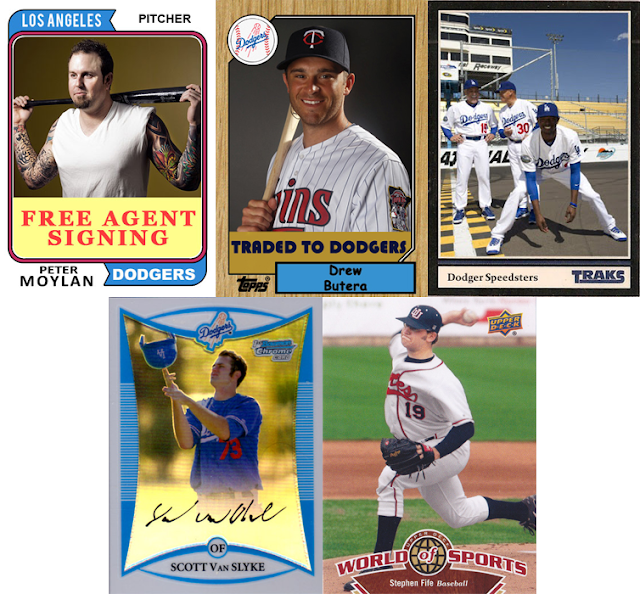 Peter Moylan - RP - He'll be an extra arm in the 'pen. Moylan, who has pitched in 16 games for the Dodgers this season, will be appearing in his second stint with the club after posting a 1-0 record with a 6.35 ERA (8 ER/11.1 IP). The right-hander spent the majority of the season with Albuquerque, where he went 4-1 with a 2.74 ERA (14 ER/46.0 IP) and tossed scoreless relief in 28 of his 38 appearances. Scott Van Slyke - OF - Our 5th/6th Outfielder. Van Slyke has appeared in 38 games in four stints with Los Angeles this season, making starts in left field (18), right field (8) and first base (2), while hitting .252 (26-for-103) with six homers and 16 RBI. Of Van Slyke's 26 hits this season, 13 have gone for extra bases (seven doubles, six home runs). In 61 games at Triple-A Albuquerque this season, Van Slyke had a .348 batting average (71-for-204) with 12 homers and 48 RBI.